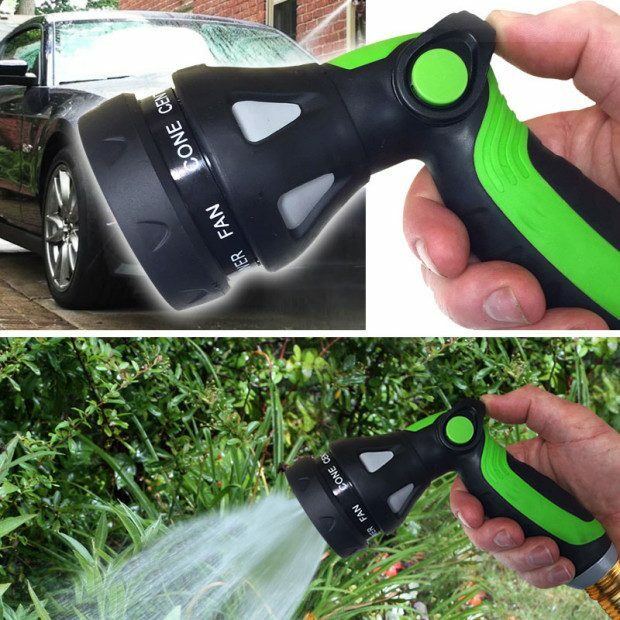 Car and Garden Water Nozzle with Thumb Control Only $5.49 Shipped! You are here: Home / Great Deals / Car and Garden Water Nozzle with Thumb Control Only $5.49 Shipped! Whether you’re making sure your car is looking it’s best or tending to your plants so that they’re happy and healthy there is no easier option than this sprayer with a super convenient thumb control! Get the Car and Garden Water Nozzle with Thumb Control Only $5.49 Shipped! There are 8 different spray patterns to choose from; mist, soaker, flat, shower, fan, cone, center and jet.